Each month we ask a soil researcher to select his or her favorite soil. Fourth in line are Dr. Ir. Bas Van der Veken of Regionaal Landschap Kleine en Grote Nete and Jan Bastiaens of Flanders Heritage. Both are pioneers in including soil heritage, soil preservation and soil education in the management of conservation areas in Flanders. Bas and Jan: a Podzol. 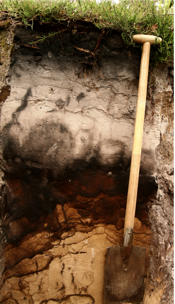 Jan: … since the Anthrosols have already been taken, as the February soil of the month. No seriously, the Podzol is really one of my favorites. 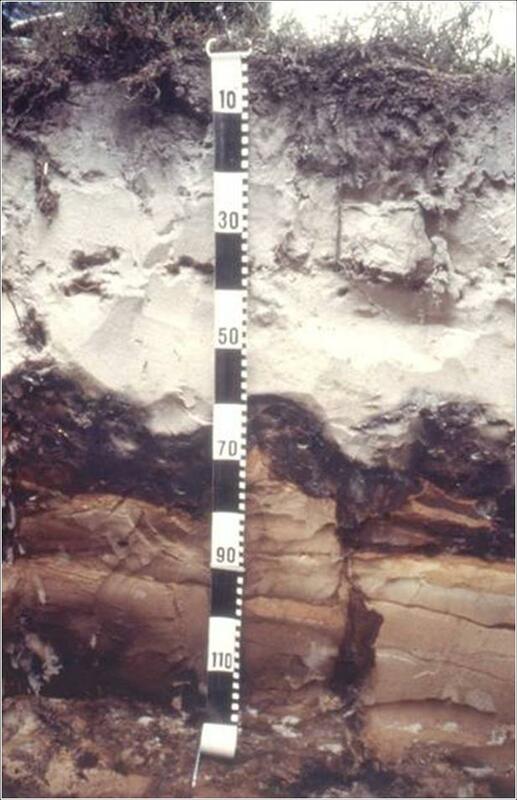 Bas Van der Veken: Podzols – or Spodosols according to the US Soil Taxonomy – occur on sandy soils and have a typical ash-grey or even white bleached-out layer where all organic substances, Al, Fe, Mn, Na, Ca, K, Mg etc. have been leached. The organic substances and sesquioxides accumulate again in the so-called spodic horizon below, a blackish to reddish brown layer. The other elements disappear in the groundwater. Jan Bastiaens: Podzols occur on a wide range of sandy soils across the globe, occupying about 4 percent of the global surface. They dominate in the boreal zone, especially in northern America and Europe, with coniferous trees omnipresent. But they also occur in the tropics. In the Campine area, the pre-eminently sandy region of Belgium, it is the most common soil type. 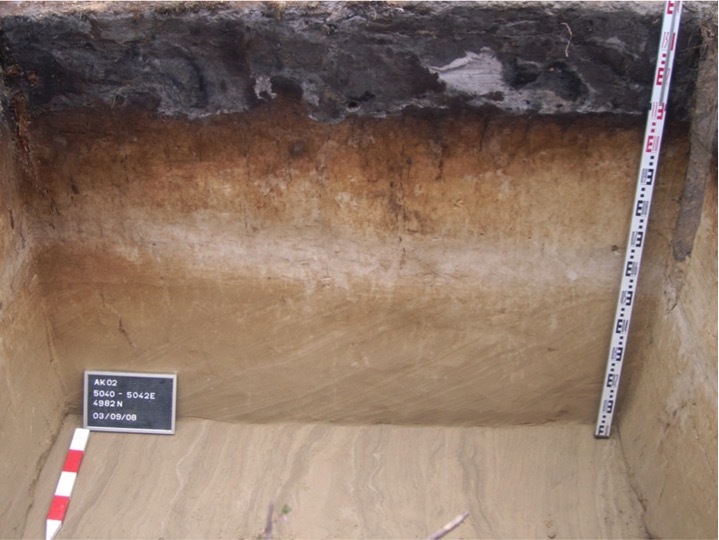 But many of these soils have been impacted by human activities during the last centuries. They are still out there, a lot, but well-preserved Podzols are becoming increasingly rare. Bas Van der Veken: The process of podzolisation, leading to this colorful soil type, is really interesting. In order to leach organic material and soluble minerals from the E to the B horizon, both humic acids (e.g. from acidic coniferous or heather litter) and a lot of precipitation are needed. They dissolve elements like Al , Fe, … and transport them downwards, leaving almost only pure quartz grains in the E horizon, hence the whitish colour. Together with the dark colours of the B horizon this is a real natural work of art. That is why we want to place lacquer profiles of this soil in a framework, hanging them in public places in the Campine area. Bas and Jan: Indeed, these soils are so beautiful and so connected with the landscape and the history of the Campine region. Therefor we would like to suggest that if an Independent Campine Republic happens to be declared, once, the flag will be based on the colors of the Podzol soil profile! Jan Bastiaens: The process of podzolisation is a natural process, but it got a real boost when the early farmers in Neolithic times started to open up the landscape, for arable land and grazing of their cattle. The consequent exhaustion of the soils, the start of heathlands (with its acidic litter) and the surplus of rain passing through the soil (before, a lot of rain was intercepted by the trees) have led to the development of Podzols spreading ‘all over the place’. This going is also illustrated by Bronze Age burial mounds: the older ones sometimes still have a Cambisol-like soil underneath, while the younger ones are characterized by Podzols. Regarding that heathland, so typical for the historical landscape of the Campine region, I would like to add that Podzols and heathland are mutually dependent, so to say. There is heath because of the presence of the nutrient poor and acidic Podzols, and on the other hand the acidic litter of heath favours the development of Podzols. People see heathland as plants and animals, but they should realize that half the story is under the ground. SSSB: Do the properties of this soil type have consequences for it’s management, e.g. in terms of land use, soil quality, conservation..? Bas Van der Veken: Because of the lack of nutrients in the upper layer, acidity and sometimes cemented spodic horizon, Podzols are not very interesting for agriculture. That is why generations of farmers in our region have fought the Podzols by adding organic materials in all possible ways (see Karen’s article on Anthrosols in February) or breaking up the cemented spodic horizon. On the other hand, because they were often neglected for cultivation, Podzols are now associated with high biodiversity (because most species prefer nutrient-poor situations), beautiful heathlands, intact geomorphology and archeology, etc. Therefore we try to protect intact profiles of different Podzols – e.g. they differ in dry or wet conditions –, and in the management plan of Landschap De Liereman protection of soil heritage is at the same level of protection of biodiversity. Jan Bastiaens: Yes, indeed. We see the Podzols (or soils in general) as part of our heritage, telling about landscape and man. Don’t forget that Podzols need centuries to develop. Most often they are some thousands of years old. That’s also the reason why ‘Mesolithic’ archaeologists are very keen on Podzols. These soils are indicative for landscape stability and no or few disruptions. Admittedly, the Podzols post-date the Mesolithic artefacts, but the best-preserved Mesolithic sites are found where Podzols are intact. 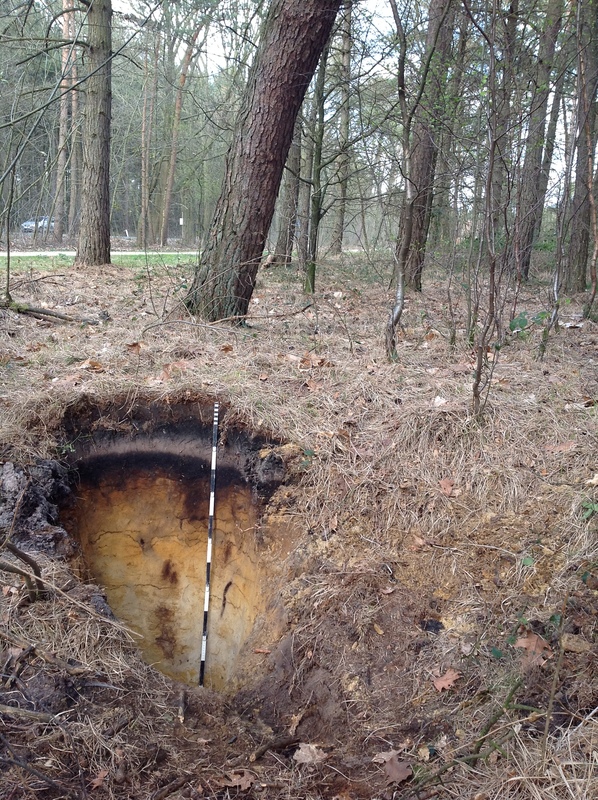 Bas Van der Veken: In the nature reserve Landschap De Liereman we have a profile pit of a beautiful, deep, well-developed Podzol. It has been used to show the process of podzolisation to many grades of students (soil scientists, archaeologists, historians, biologists, …), to make lacquer profiles or peels for different reasons, to study soil chemistry, archeological artifacts etc. If soils would be celebrities, this could be the Lady Gaga or Tom Cruise of soil science. So every time I pass this profile pit during my walks in Landschap De Liereman, I check if our ‘celeb’ is still okay. 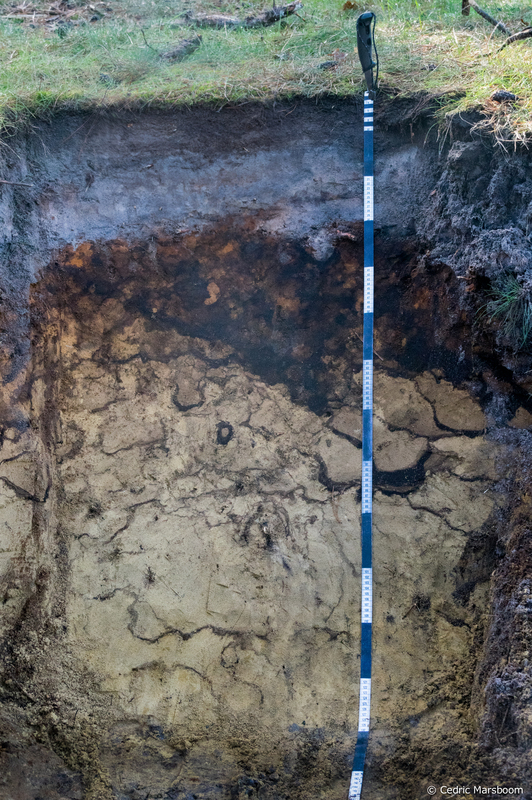 Jan Bastiaens: And that’s also why we decided to bring this Podzol and its pedological and archaeological history to a broader public. In a joint effort from Flanders Heritage, Landschap De Liereman and Appeltien Engineering we’ve developed an innovative device for that, getting people to realize what they are literally standing on. Our celeb gets its own ‘show’, quite spectacular, but very well suited for a nature area. The inauguration is planned for the end of summer. So then everybody will be able to enjoy the beauty of the Podzol. You will be hearing from us, no doubt! Bas Van der Veken is director of Regionaal Landschap Kleine en Grote Nete, an NGO promoting landscape quality in the Campine region of Belgium. 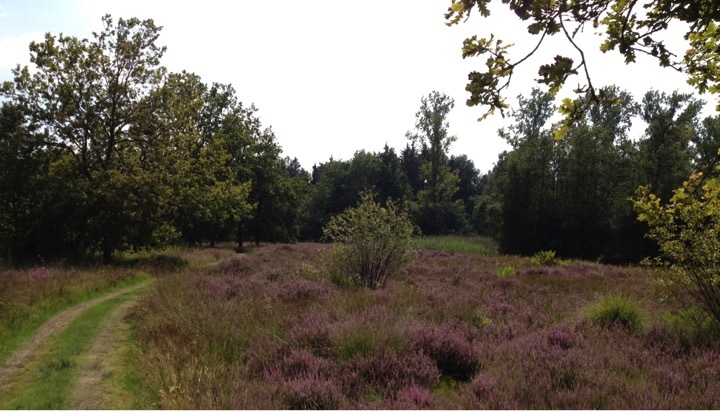 He also is one of the managers of the nature reserve Landschap De Liereman in the same area. Jan Bastiaans is scientist at Flanders Heritage, an agency of the Flemisch Government dealing with scientific research, management and policy of landscapes, archaeological sites and monuments. Together they share a broad interest in landscape history (especially from the Campine region), biodiversity… and soils.